Did you miss the ExploreVA online Q&A about VA home loans and housing grant programs? Of the 900 questions asked, below are 10 of the most popular questions and answers. Eligibility for the Specially Adapted Housing (SAH) grant begins with an application for disability with VA’s Compensation Services group. Apply online at www.ebenefits.va.gov or by submitting VA Form 26-4555, Application in Acquiring Specially Adapted Housing or Special Housing Adaptation Grant, to the VA office of jurisdiction. For more information about the SAH grants, eligibility, and how to apply visit ExploreVA. Contact an SAH staff member via email at sahinfo.vbaco@va.gov. There is not a list – any REALTOR® should be able to help you. You can find one at realtor.com or your local REALTOR® association. Just tell your REALTOR® you are a veteran, and they can help you find a home. Tell your lender you want a VA home loan. VA does not have a minimum credit score requirement, but the lender is responsible for ensuring that the treatment of credit, income and debt comply with VA credit standards. VA may only guaranty a loan when a determination has been made that the applicant is an acceptable credit risk. Lenders are responsible for developing credit review and may establish additional credit underwriting guidelines to satisfy their own requirements. Any eligible veteran can apply for their Certificate of Eligibility (COE) online, through their lender, or the Regional Loan Center of jurisdiction. Next, find a REALTOR® to work with, locate a lender who offers a competitive mortgage loan rate, finally decide on a home and sign a purchase agreement. For more information about eligibility and how to apply visit ExploreVA. VA has two refinance options for eligible veterans: an interest rate reduction refinance (IRRRL) loan and a cash-out refinance. An IRRRL lowers the interest rate by refinancing the existing VA home loan. The cash-out refinance is for homeowners who want to take cash out of their home equity. Learn more about the IRRRL program and the Cash-out program. The VA Home Loan Program provides homeownership opportunities for Veterans, Servicemembers and their families. An eligible individual must certify occupancy for any property that is used for a VA guaranty. An Active-duty Servicemember’s dependent child can satisfy the occupancy requirement. Under this authority, the parent’s attorney-in-fact or the dependent child’s legal guardian can attest to the required certification. The VA provides grants to Servicemembers and Veterans with certain permanent and total service-connected disabilities to help purchase or construct an adapted home, or modify an existing home to accommodate a disability. There are two grant programs, the Specially Adapted Housing (SAH) grant and the Special Housing Adaptation (SHA) grant. To learn more including how to apply, visit ExploreVA. The Regional Loan Centers (RLCs) have employees specifically dedicated to making surviving spouse eligibility determinations. A surviving spouse may apply for Home Loan benefits using VA Form 1817—applications for surviving spouses are primarily processed with this form. For more information, contact the Atlanta VA RLC. Their phone number is 888-768-2132 (option 2). The application form is available online. VA also offers three home loan guaranty programs to eligible surviving spouses of Veterans and Servicemembers. Learn more. A VA-guaranteed loan may be acquired to alter, improve or repair a property owned and occupied by the veteran as the veteran’s home. This usually involves a VA-guaranteed loan for refinancing purposes. No construction exhibits or inspections are generally required, if the work was completed prior to the appraisal. In either situation, all work must be acceptably completed before VA guaranty of the loan. Eligibility determinations for the VA home loan are done by the Regional Loan Center of jurisdiction. Since the property was terminated, using your VA loan depends on if there is any eligibility remaining. If you would like to use your full VA loan, the amount paid by VA at the time of loan termination would have to be repaid. Apply online for a Certificate of Eligibility (COE) to see how much entitlement is remaining. Or apply through your lender or at the Regional Office near you. Find contact information here. 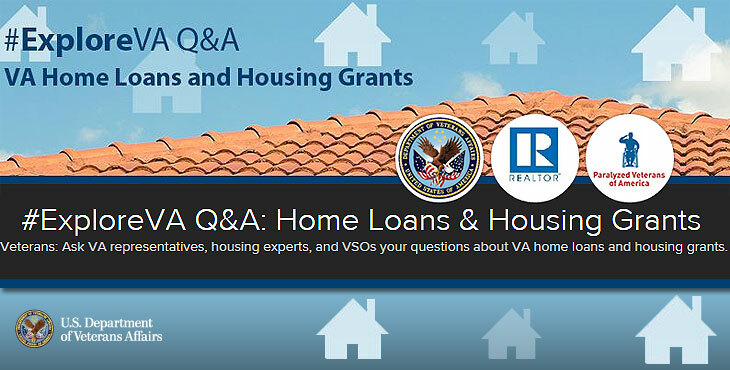 Do you still have questions about VA’s home loan and housing grant programs? For more questions, contact your VA Regional Loan Center of jurisdiction. You can locate your RLC here. You can also learn more about VA’s home loan and adaptive housing programs on ExploreVA. Find more information about the #ExploreVA digital event series and register for upcoming events. My friend borrowed me the money to purchase a home (60,000.00) the loan is set up for five years at 5% interest and either get a loan refinance etc. within the time allotted or forfeit the property back to the lender. I had IRS problems and they put a lien on the property however they dropped their case and said I was uncollectable or something to that effect? and said it was over. But the lien still remains on my house? until I have that removed I cannot refinance or sell the property. I have my certificate of eligibility how can I get this done? so I can either refinance or sell to pay the loan off.